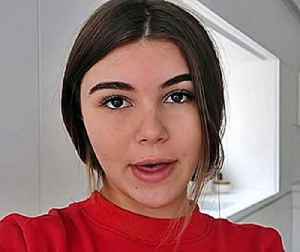 Olivia Jade Giannulli is an American social media celebrity from Los Angeles, California. She is the daughter of Lori Loughlin and Mossimo Giannulli. While in high school, Giannulli began her social media career on YouTube and Instagram and both accounts currently have over a million subscribers/followers. Giannulli graduated from Marymount High School in 2018 and currently attends the University of Southern California (USC). The 2019 college admissions bribery scandal allegedly involves her parents and her admission to USC.